Over the past few months I have been thinking a lot about living more from my heart: opening up more to Love . ..dropping the old, worn-out patterns of relating to others, myself and the world. Coincidentally (and I don’t believe in coincidence!) I started finding hearts everywhere; heart rocks, heart-shaped clouds, flowers that looked like hearts…. I ran past this empty beer can for a couple of days in a row. I didn’t pick it up the first day I saw it, or the second. Finally, yesterday I did. If it had been a rock, or a sacred relic from a shrine, I would have picked it up when I saw it, brought it home and added it to my collection or given it away as a gift. How interesting that I think that signs from the Divine have to come in forms that I pre-determine to be valuable or special…how many wonderous things have I missed because I have labeled them as valueless or didn’t notice them at all? Over the years, I have spoken with so many people who feel guilty that they don’t go to church…feel that they “should” go because they have been taught/told that God is found there. And that is true. God is there. But God is also here….right now, seeing out of my eyes as I write this morning and seeing out of your eyes as you read this. I don’t believe that we need to go to some special place to connect with the Divine (unless we are authentically moved to do so). The Spirit is responding and speaking to us all of the time and in more ways that we could imagine….it is everywhere and in everything….Where is God? Wherever we look. Next postI have a right to be angry! Yes!! Continue your beautiful day! Hearts and flowers to you, Mary. Thank you for this. We don’t have a church home right now and haven’t for years. Always feel guilty not going to church to honor the resurrection. I pray every day but was raised in church. 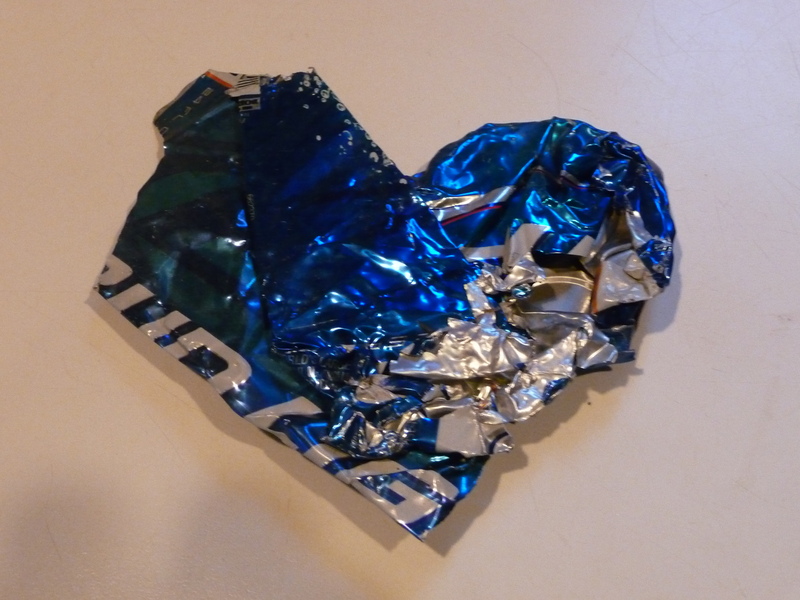 When I clicked on the beer-can photo, the first things that came to mind was a heart shape. Love your post. I’ll take it with me today! I agree that God is everywhere, so that’s not why I go to church. I go because there I find a family-of-choice: people who will love you in spite of your obvious faults; comfort you when you’re hurting; challenge you to think beyond the safety of conventional ideas; and empower you to work boldly for justice. Sadly, not all churches are like that. Some will make demands and limit you until you fit into their boxes. Avoid those and search until you find the rare and priceless treasure of a church that helps you become more than you thought you were. Jesus said, “I stand at the door and knock”. I believe He means he stands at the door of our heart and gently knocks. He does not bang the door down, or shout. He does not insist. It is an invitation and we can choose to open our hearts or not. Whether we are seated in a pew at a church, synagogue, or walking in the woods, the gentle knock is personal, and it is sweet and interior. It is our own hearts the Divine wishes to fill with love. Choice is ours. Love to all. That was beautiful, so true. He speaks in a “still, quiet voice”. We have to listen for that . I Love the beer can heart!!! and your post reminds me of an episode of “Cheers”, ya know, the old sit-com. Diane is in a monastery trying to decide if she should stay with Sam or not. She’s on her knees praying for a sign from God and Sam walks in. She yells at him and tells him to leave. Signs from God don’t matter if we can’t see them. I tried to comment and somehow lost it, so I’ll reconstruct it as best I can. I agree that God is everywhere, so that’s not why I go to church. I go because I find there a family-by-choice who will love you in spite of your obvious faults; comfort you when you’re hurting; challenge you to think beyond conventional ideas; and empower you to work boldly for justice. Not all churches are like that. Some make demands and insist that you fit into their little boxes. Avoid those and keep searching for the rare and priceless treasure of a church that helps you become the radiant being you never knew you were. thank you Jean for sharing. 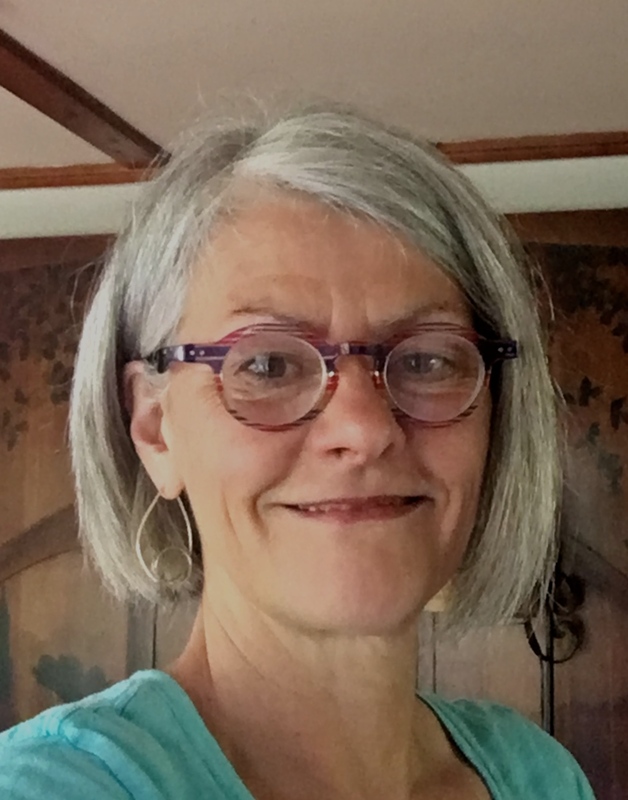 My mother left the Catholic church several years ago because she did not feel spiritually nourished there, and then she kept trying to get her friends to leave too (and would tell me that she was frustrated that they didn’t listen to her). I kept saying, “Mom, maybe their experience is different from yours. You need to listen to them when they tell you that church is an important part of their lives.” We need to honor each person’s spiritual path even if it is not our choice. Mary your message is so timely. My husband and I went to Bible college so very many years ago…our hearts were set on ministry. What a journey it’s been… We no longer attend church but we love God, His word and communicate with Him daily. And we too have found that being close to God has nothing at all to do with attending a church. We’ve also found that ministry opportunities are all around us. We actually have more time to really help people now that we’re not so “busy” with church. Thank you for sharing these words…it’s hard when you have been so indoctrinated to think that you are somehow wrong by not attending a church building regularly. It certainly is Barbara…thank you for sharing this. I have many friends and colleagues who either attend church/services, are pastors, ministers, priests, nuns and monks and receive so much from their being a part of a spiritual community with regular worship. I completely honor their path…and then there are many of us who find we have been moved into a new spiritual place that does not necessarily involve an external structure and we are listening to the “still small voice” to lead and inform us too…but maybe in a unique way. When I first opened the page, read the header about expanding vision, I began squinting trying to figure out exactly what the heart shaped ‘thing’ was. It was not immediately apparent that it was a crushed can; at first I thought it was a candy wrapper folded origami style or a deflated Mylar balloon. Then I shifted and blurred my focus even further and the entire computer screen became the message—it’s all how and where we look to open to the divine. Hats and hearts off to the messengers! This post is certainly resonating with so many – was just thinking of Jesus in the desert for forty days, Jesus praying in the Garden of Gethsemane alone, the transfiguration, the miracles, Jesus at one with God, and yet not one of these instances of intense communication with God occurred within the walls of a religious structure. And yet, I too, like many who have shared this morning, was raised in a church, and found great solace, inspiration, and fellowship in my early forties in a woman’s Bible Study. I am now more reclusive in my quest. It’s more of an inward journey so as to be able to expand outwardly and make a difference in the lives that touch mine. The great mystery revealed by the Apostle Paul, Christ in you. It’s not a building, it’s what is in your heart.